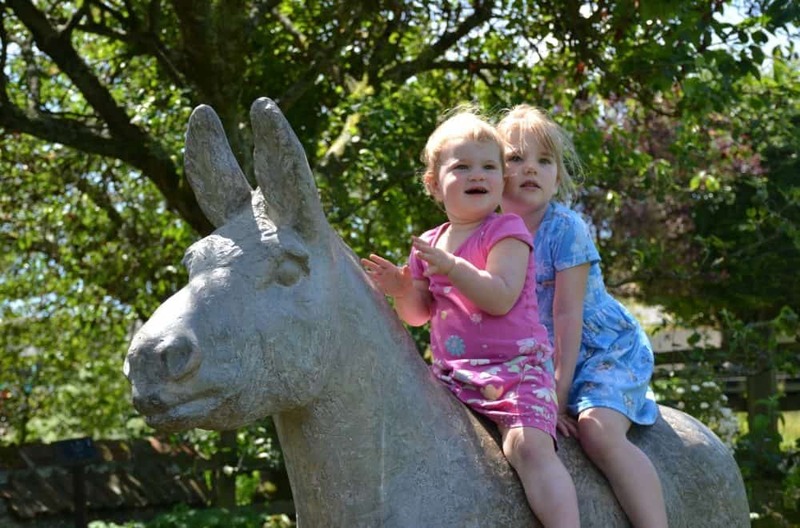 Nestled in the hills of East Devon’s Area of Outstanding Natural beauty is a charity doing amazing work in aid of the health and welfare of donkeys. 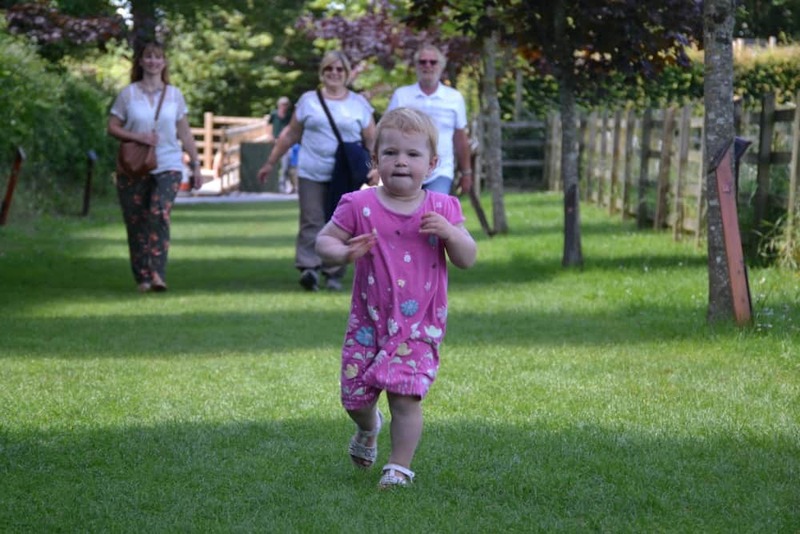 Not only this, the Sidmouth Donkey Sanctuary is a great Devon family day out that is dog-friendly and free! We visited while staying just down the road at Andrewshayes Holiday Park during the summer. There’s a remarkable story behind the Sanctuary and its founder, the late Dr Elisabeth Svendsen MBE. Elisabeth had fallen in love with donkeys as a child and through her great admiration for these placid beasts set up the Donkey Sanctuary in 1969. Her aim was to rescue and care for animals in distress. 40 years later the Sanctuary has taken in more than 15,500 donkeys and currently has 500 living there. It is now one of seven Donkey Sanctuary sites managed by the charity around the UK and Northern Ireland and a great day out with kids in Devon. 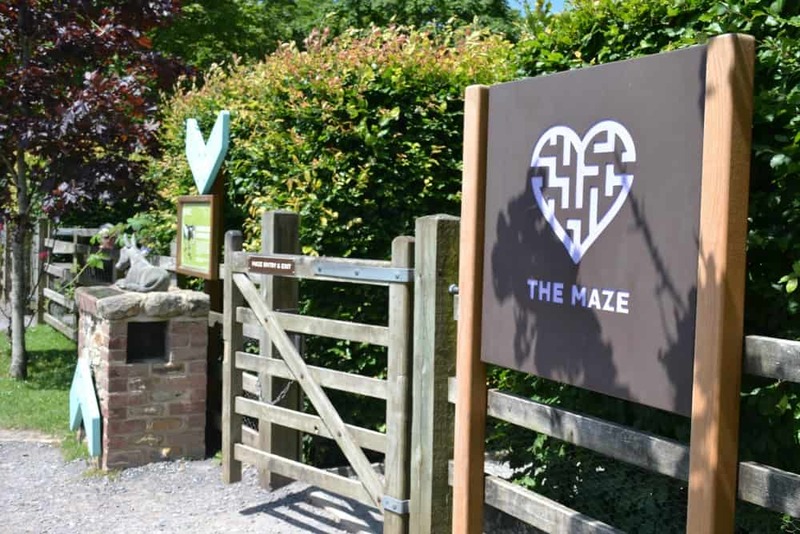 The maze is open all year round and beat us during our visit. If you make it to the centre I’d love to know what’s there! With 500 donkeys living here you could spend an hour or so visiting all of their fields. The Sanctuary is intersected by rural roads but there are wide grass paths for you to use to reach the animals living in the wonderfully named Field of Dreams and Hermitage Woods. We visited the Donkey Sanctuary on the same day as its annual car show. This added a whole new angle to our day and one that Mr Tin Box and Tin Box Grandad enjoyed very much. 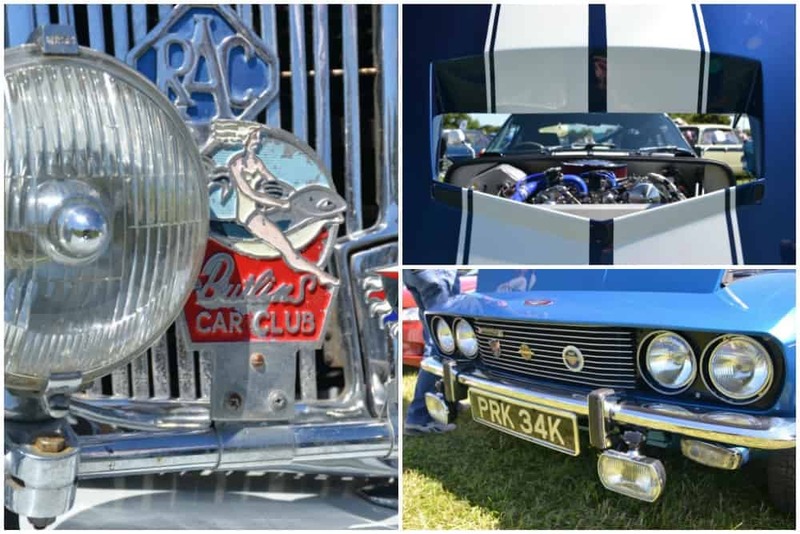 There were 400 classic and modern cars to browse around, as well as live music and entertainment for kids. We paid £3 entry for each adult and nothing for the girls as they were under six (over six-year-olds were £1). The Kitchen is a brand new cafe at the Donkey Sanctuary and has amazing views of the rolling East Devon hills. It serves breakfast, hot and cold lunches, children’s meals, snacks and cakes. It’s definitely worth popping in for at least a cuppa to appreciate what an awesome part of the world these lucky donkeys call home. You’ll also be making a contribution towards the running of the charity. Over the years the Donkey Sanctuary has obviously been a special place to many people. There are numerous benches and plaques dedicated to the memory of the charity’s supporters who have shared Dr Svendsen’s love of donkeys. 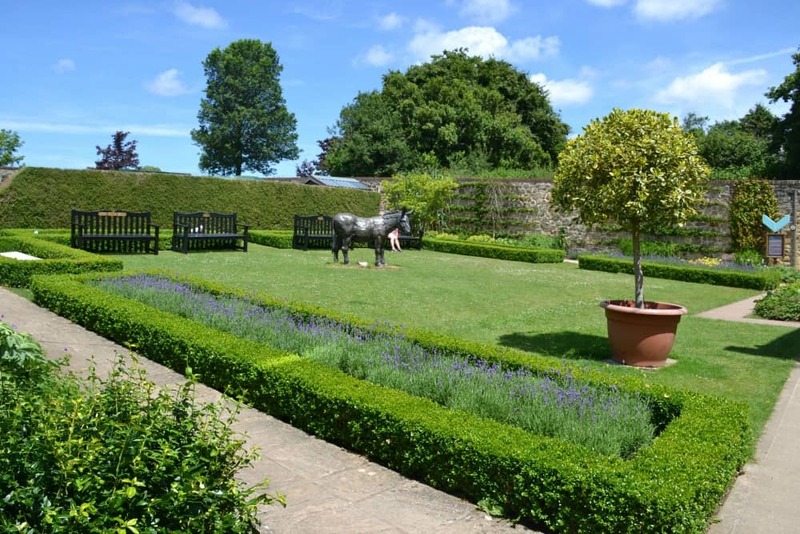 The gardens are beautifully kept and make a lovely spot for a sit down after visiting the animals in their fields. This is an outdoor attraction so come prepared for the Great British weather. 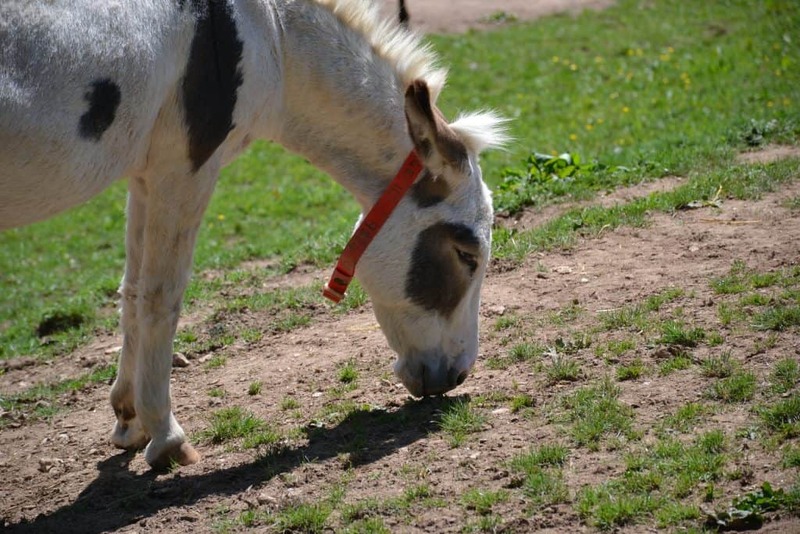 Have you visited Sidmouth Donkey Sanctuary? If you’d like more ideas for days out in Devon then take a look at my archives or this post with 55 ideas for things to do with kids in Devon.